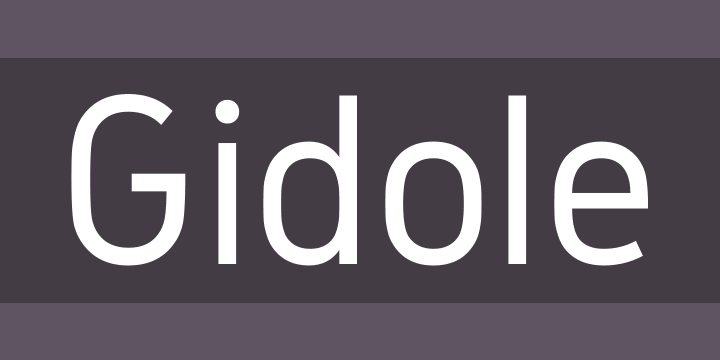 Gidole is an open source modern DIN created by Andreas Larsen in 2015. Currently only regular weight but more weights are in the pipeline along with full greek + cyrillic support. Gidole.github.io is the place where you can find more information, give me feedback, contribute to the project and show some love by donating to the Ethiopian Red Cross Society. Follow @andreaslarsendk to get notified about major updates.